The top has spanish multi-coloured marble set into it. The removable legs are octogonal and tapered, with faux pewter fluting. 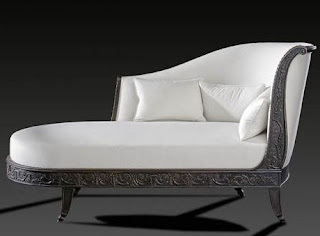 The ornementation of brass moulding lends an extreme lightness and finesse to this delightful piece of furniture. 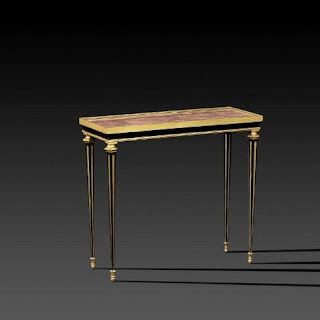 This rare little rectangular antique louis XVI table was originally made in ebony. 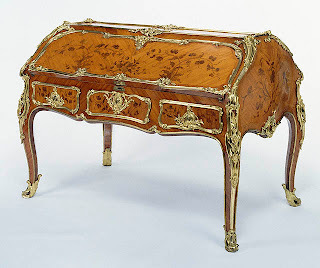 The Louis XVI table design, a well-knowned onein the work of Adam Weisweiler, who was admitted as a Master Craftsman in 1778, was part of the former Wrightsmann collection or the former Givenchy collection. It usually has spindled feet togethet with a very characteristic spacer. It is very difficult to say in this case if this spacer bar is missing or if it never existed, which is quite likely given the small dimensions of this Antique table.